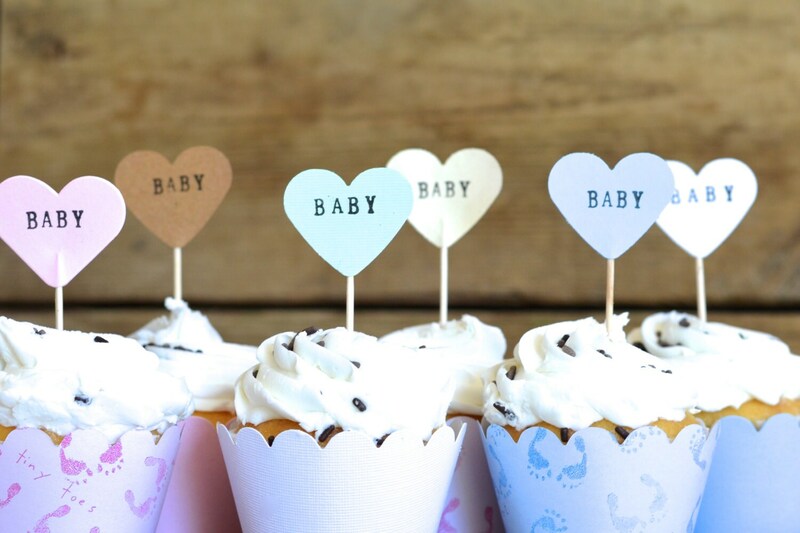 A darling set of 12 "BABY" themed cupcake toppers. 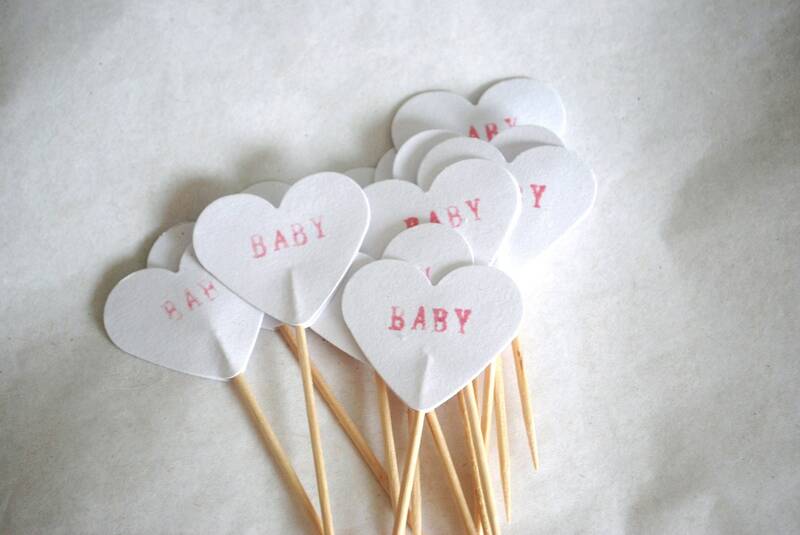 Each pick is made using hearts cut from your choice of paper - either white, pink, blue, kraft, mint or vintage - and is double sided. 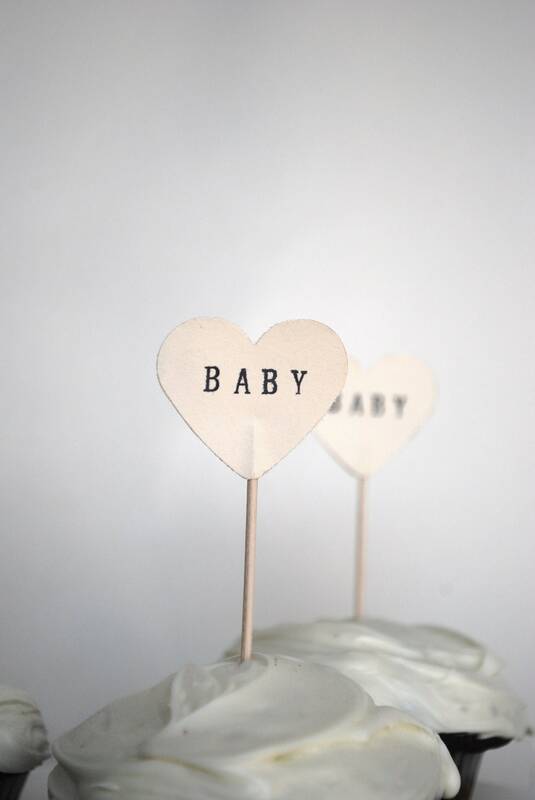 We hand stamp "BABY" onto the front of each using black ink. Because they are done by hand and not computer printed, each one will be slightly different and unique. Each paper heart is 1 1/2" across. - are you looking for a larger quantity or different colors? Send us a note and we'll get a custom listing set up for you - we love custom orders! Loved these! They came fast and were well made. I would buy from this vendor again! Fast shipping and the cupcake picks are so cute! Great quality! These r sooo cute! 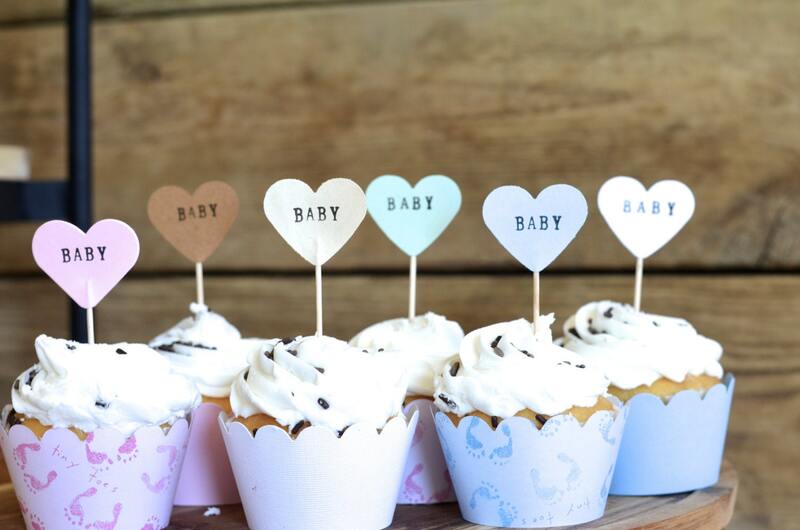 Baby shower theme is rustic vintage and these go just perfect. Loved the packaging I received them in...very delicate and thoughtful.